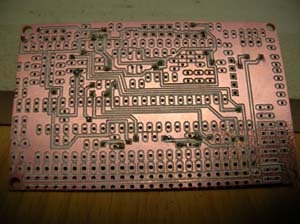 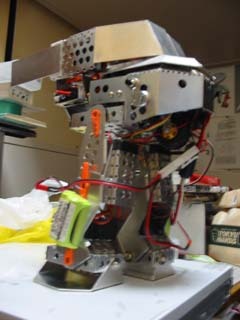 before becoming an incorporation at 2002. 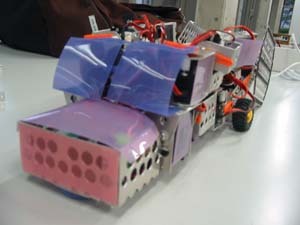 We were participation 1st ROBO-ONE. 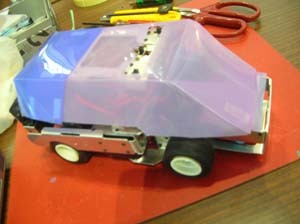 We made a transform robot to vehicle mode. 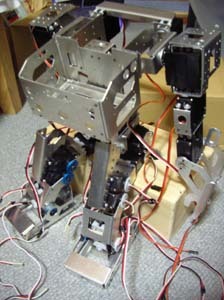 The robot did not walk yet. 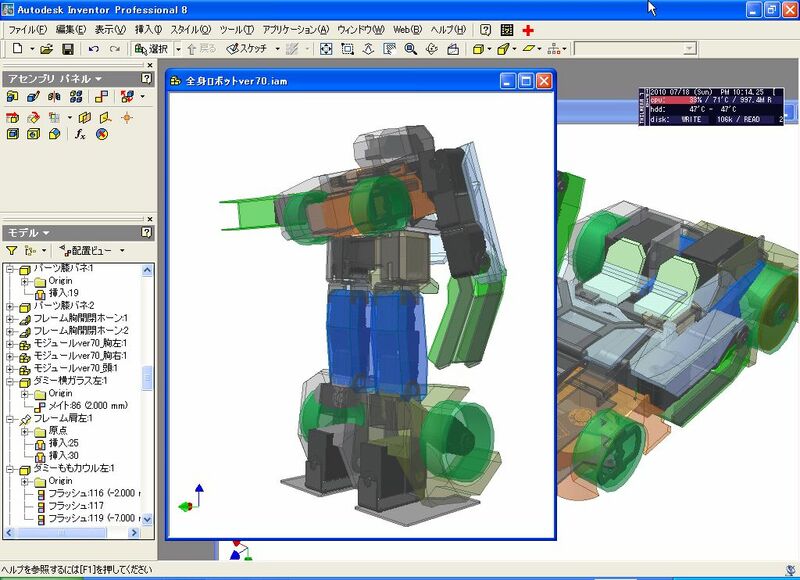 Ver1.2 was made for prepare to combine. 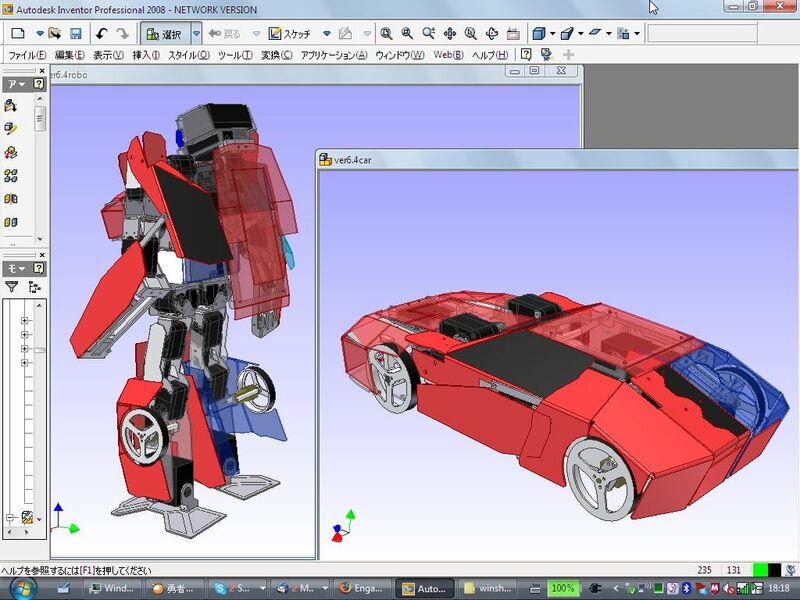 It could transform to vehicle mode. 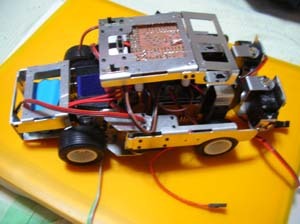 It could not drive by tire. 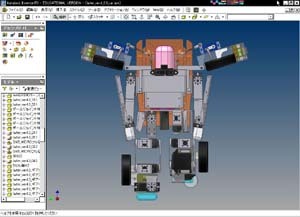 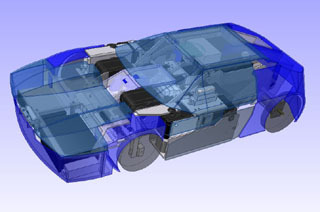 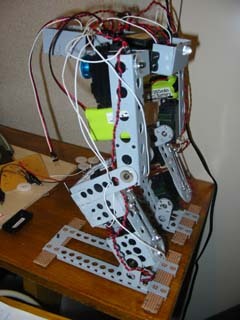 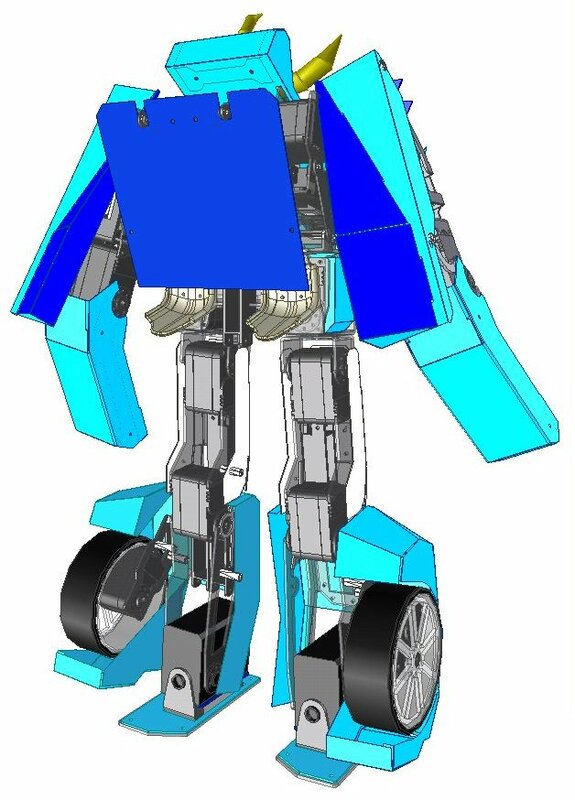 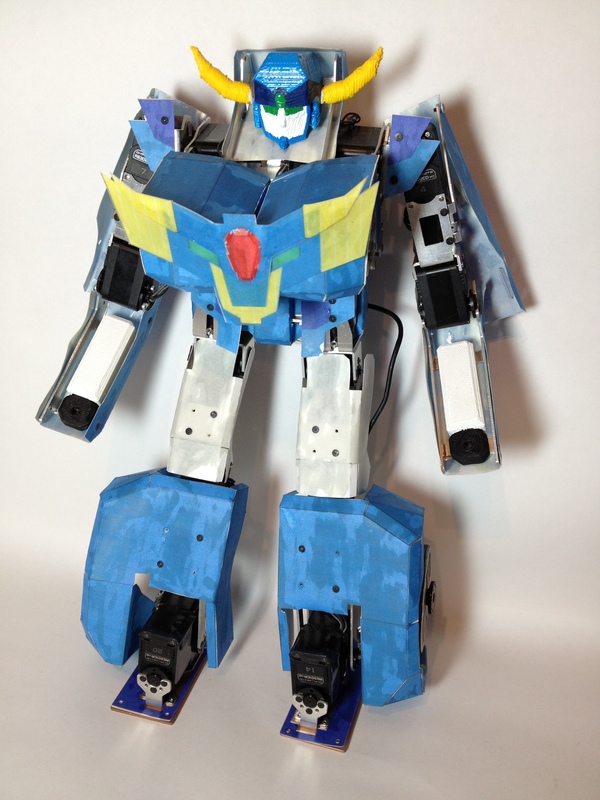 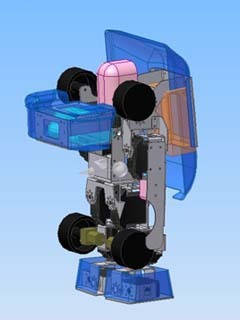 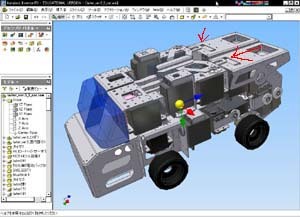 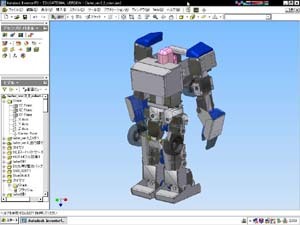 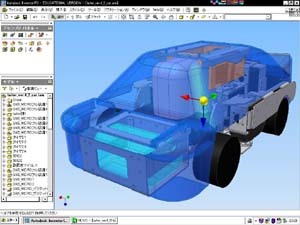 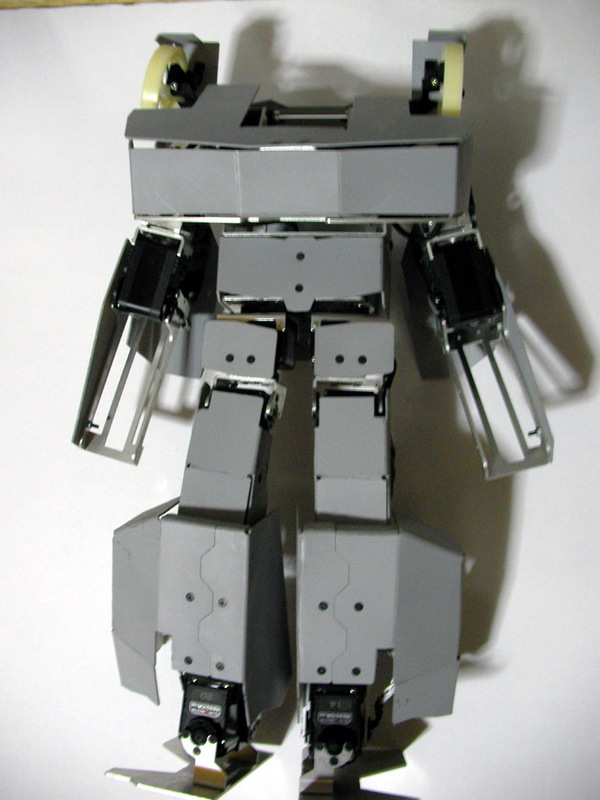 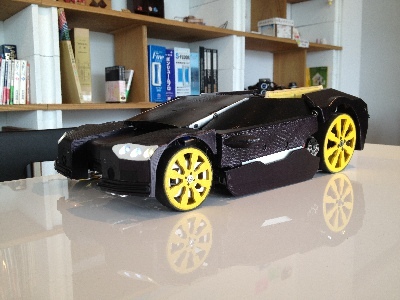 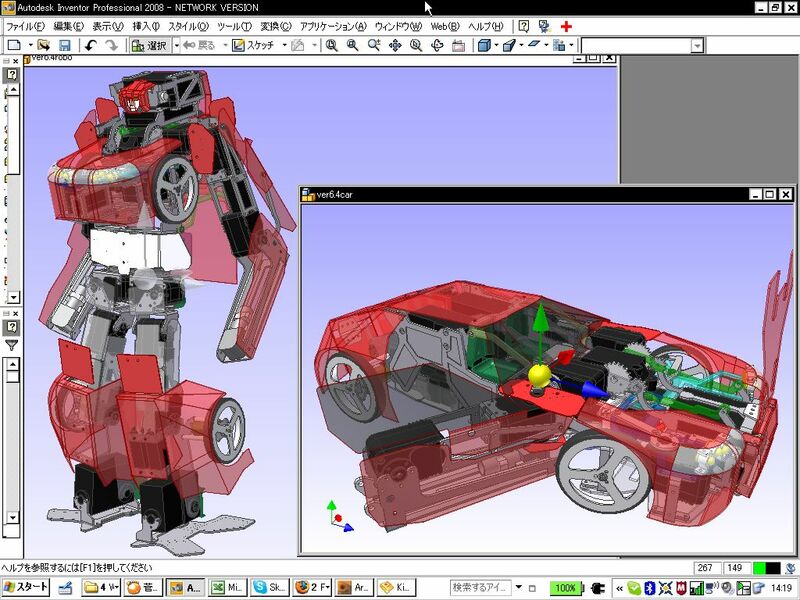 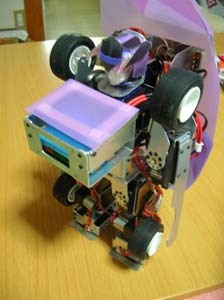 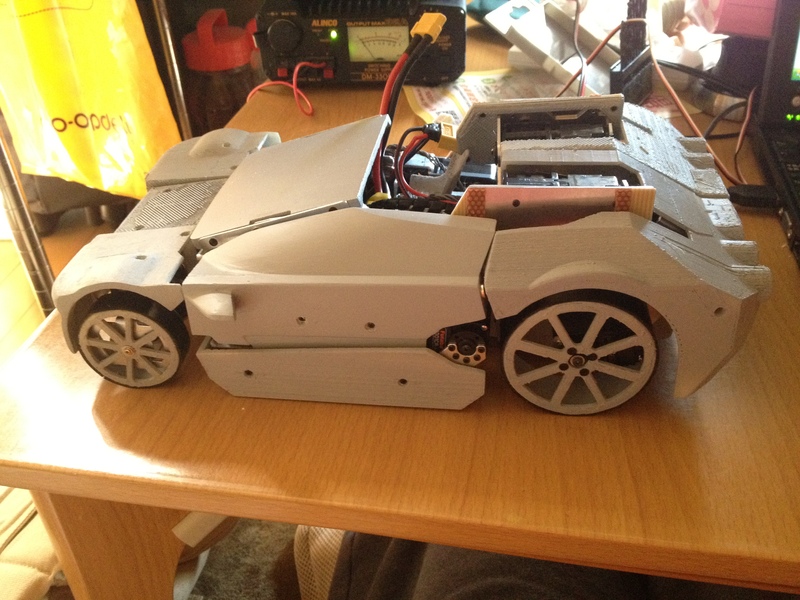 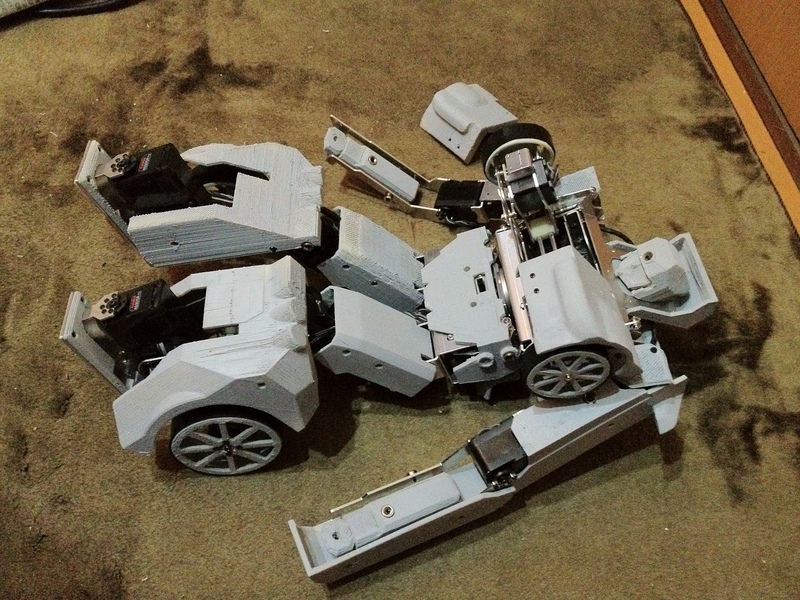 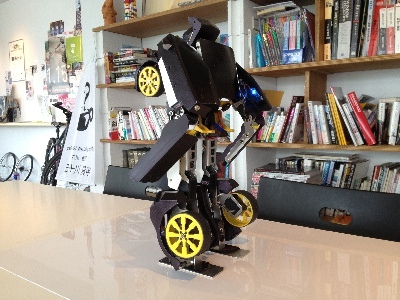 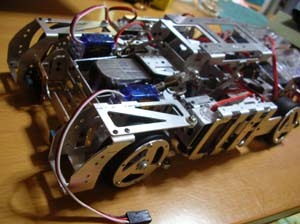 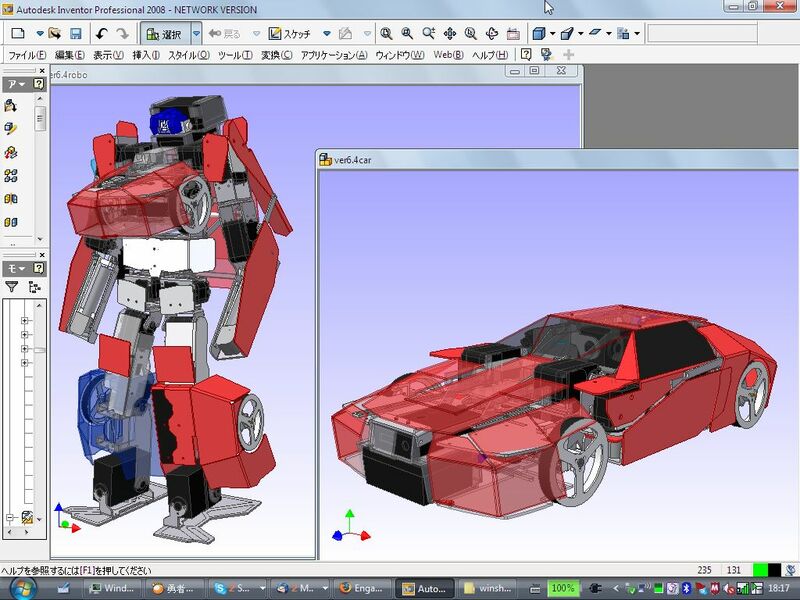 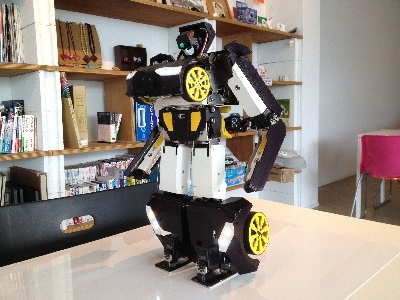 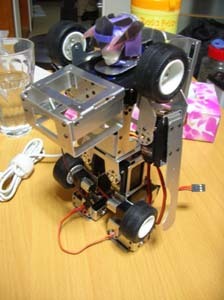 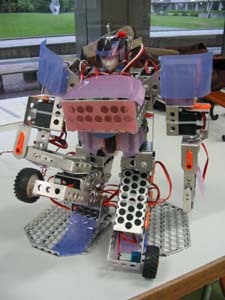 After Version 2, We focus to make humanoid robot transform to vehicle mode. 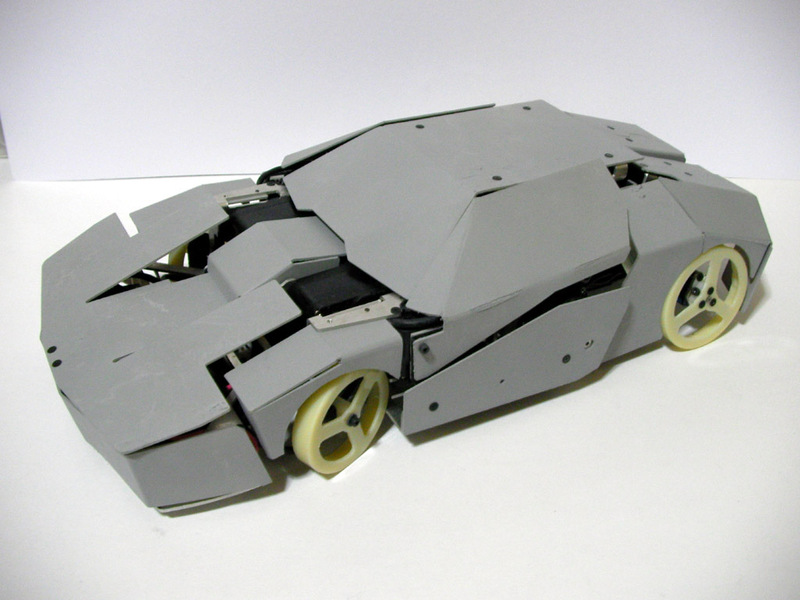 It could drive by tire. 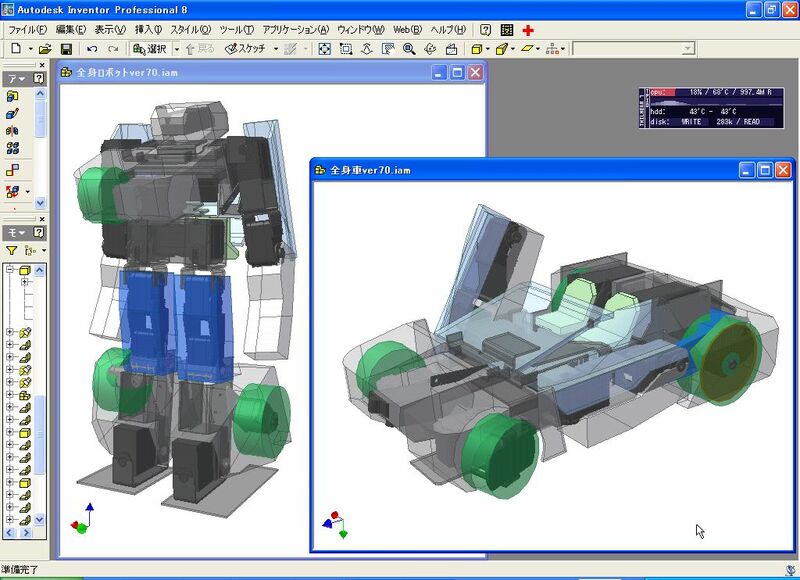 We designed more better robot mode and vehicle mode. 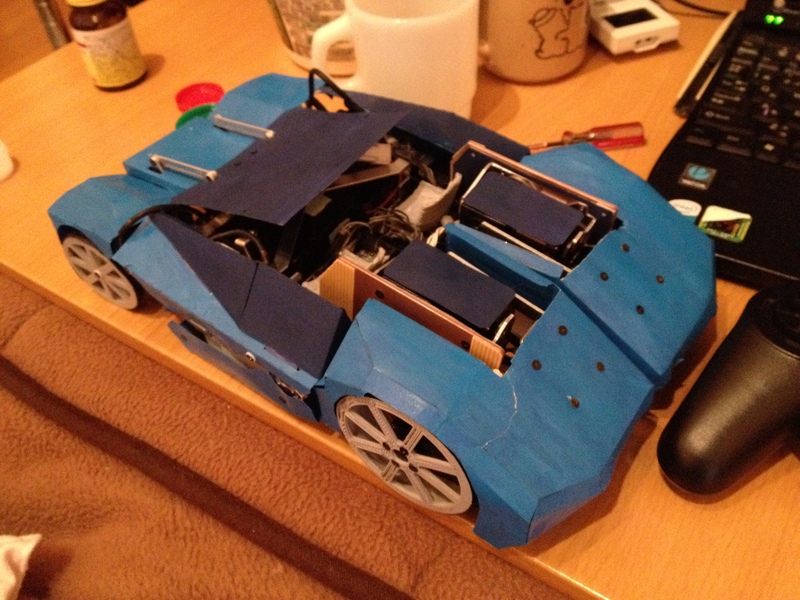 It could turn by steering. 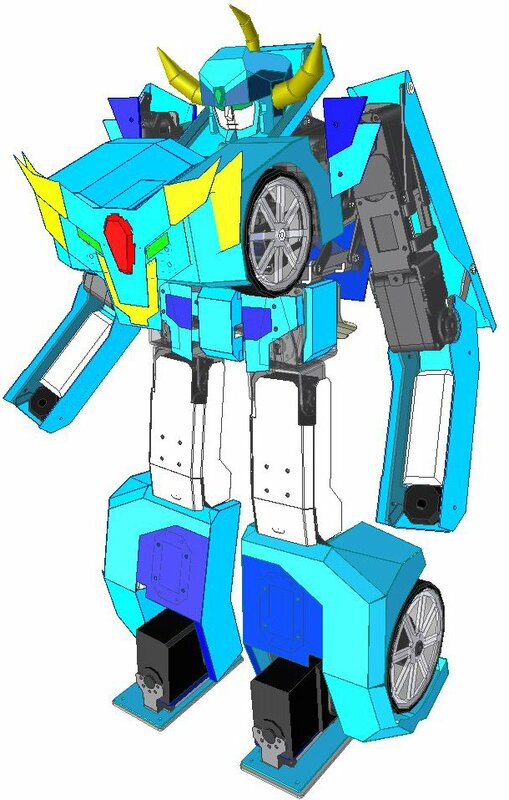 We focused walk, transform, and drive by tire. 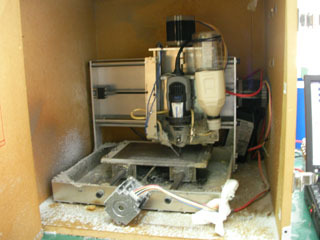 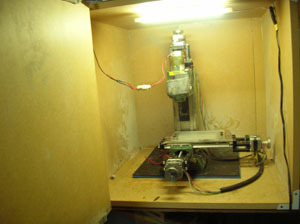 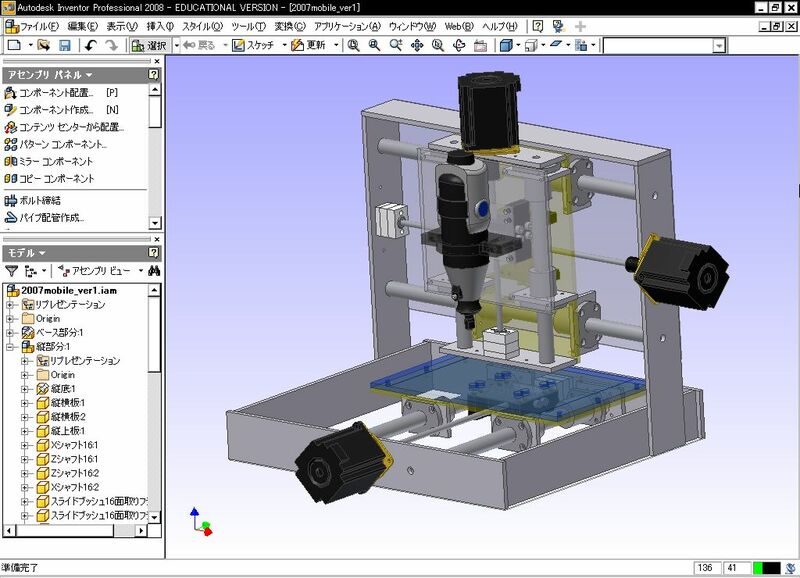 We made own CNC milling machine. 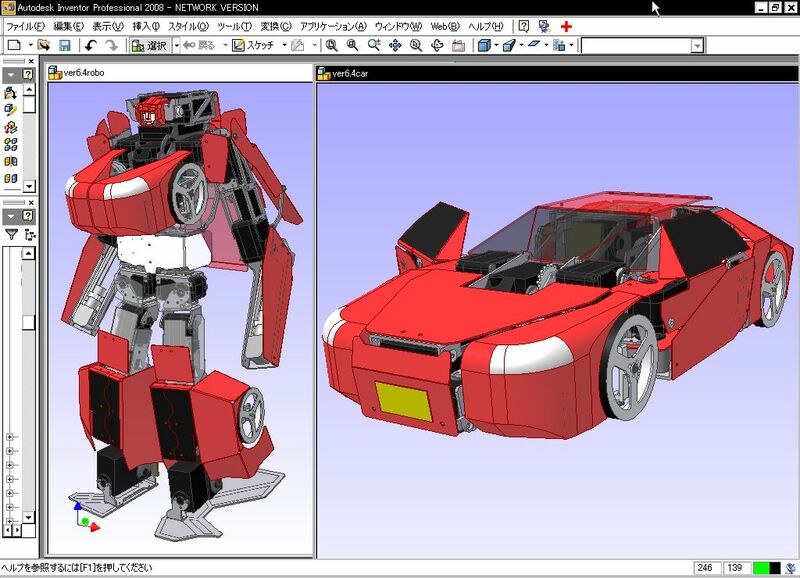 We designed new transform system. 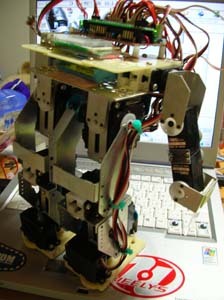 It can walk, return from fall down, punch, and other. 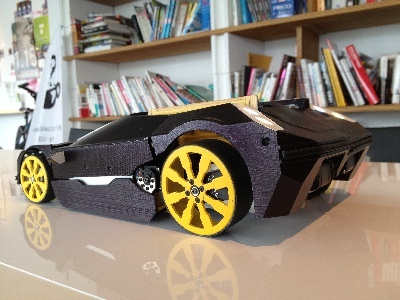 It can drive by tire. 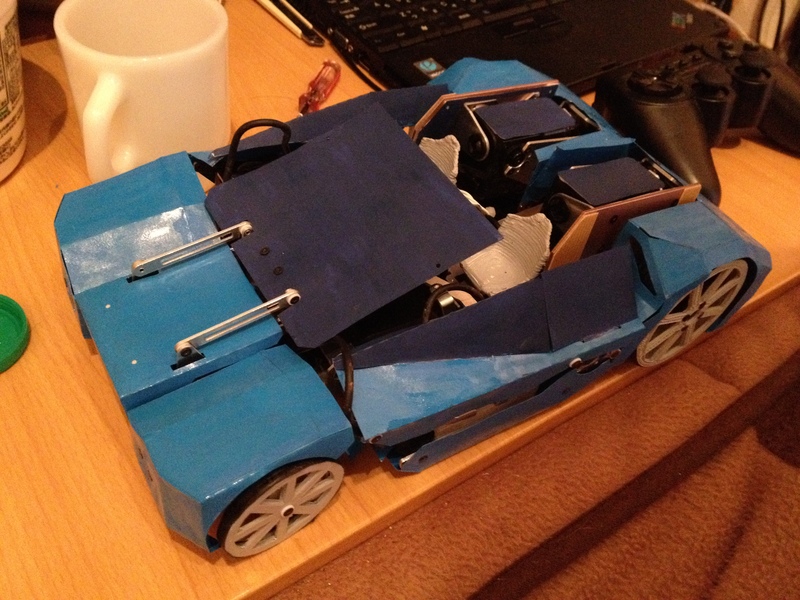 It did not include steering. 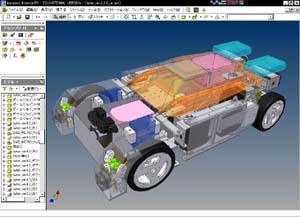 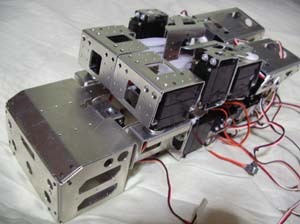 We design chest closing system. 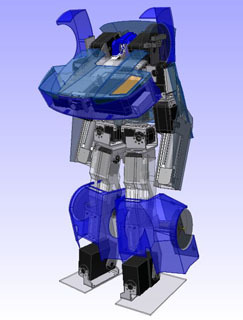 It makes robot mode design better. 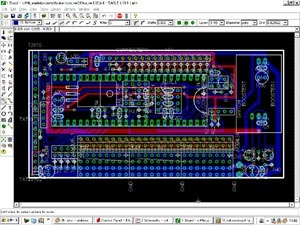 We design more simple than Version 6.5. 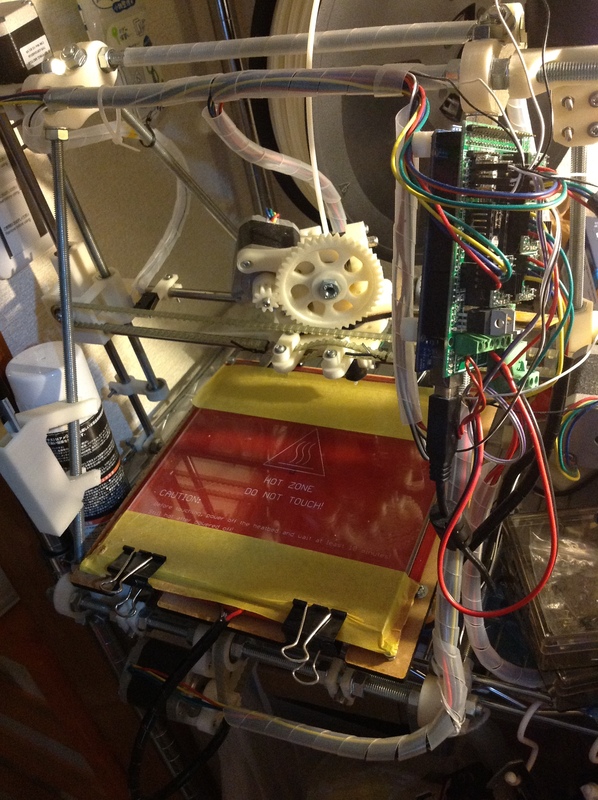 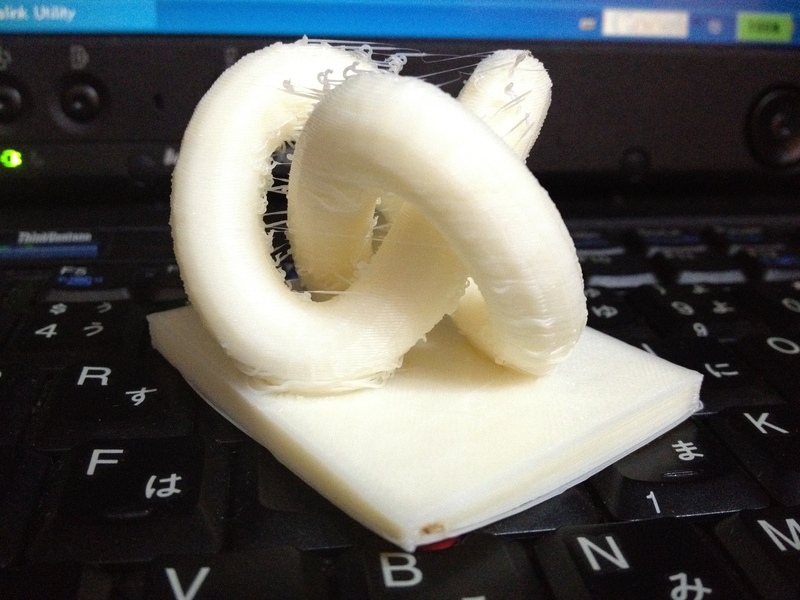 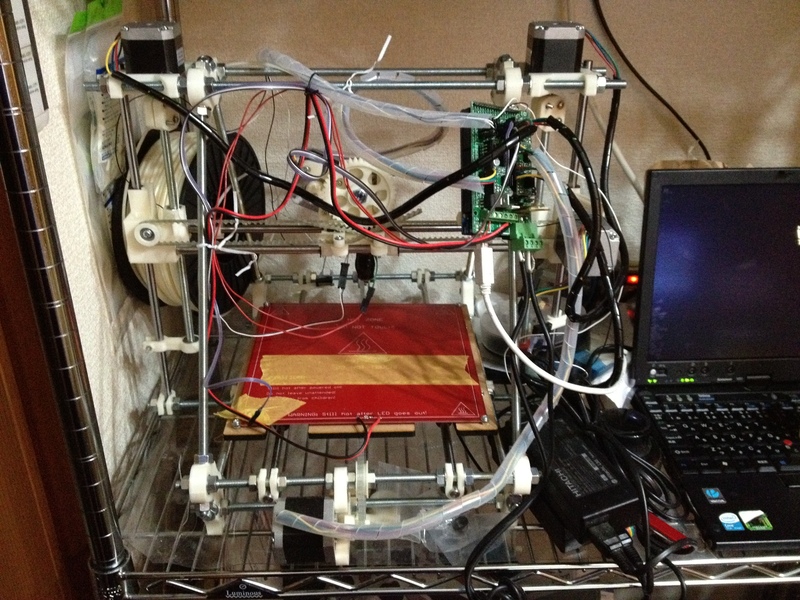 We made own 3D printer. 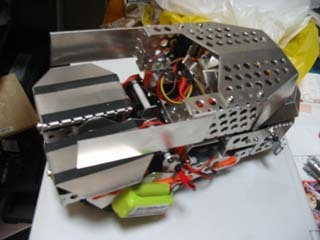 We replaced cowl parts to 3D-printed parts. 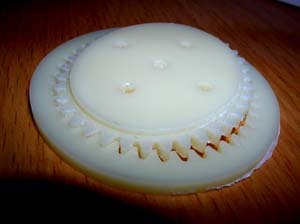 Original Mind-made machine tools to start using. 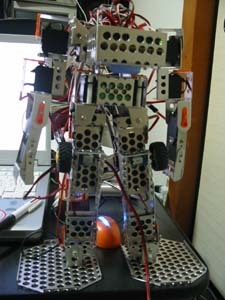 J-deite Quarter has been completed. 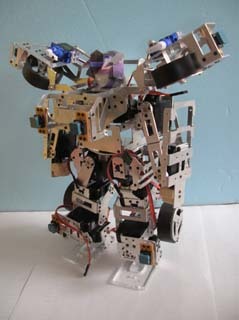 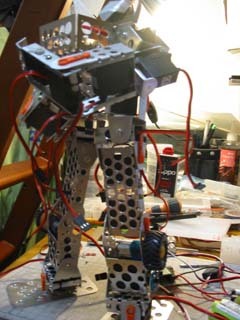 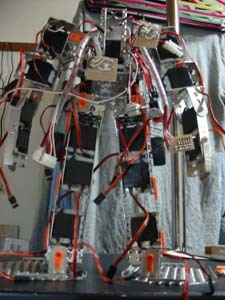 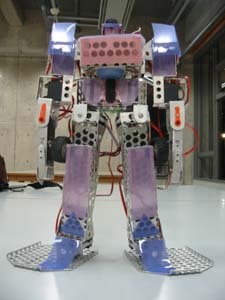 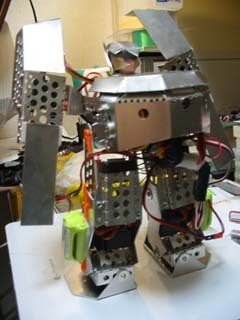 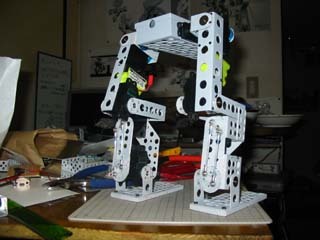 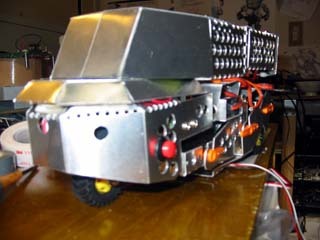 A 1/4 scale model of about 1.3 m. Manufactured by BRAVE ROBOTICS Inc. Humanoid robot interface software “V-Sido” is loaded.